Magnificent Large Vase Design Vintage Indian Agra Rug, Country of Origin / Rug Type: India Rug, Circa Date: Mid – 20th Century – Shades of pinks, corals, salmons, reds, blues, light greens, ivory, and browns dominate this charming unique vintage mid century Indian Agra rug. 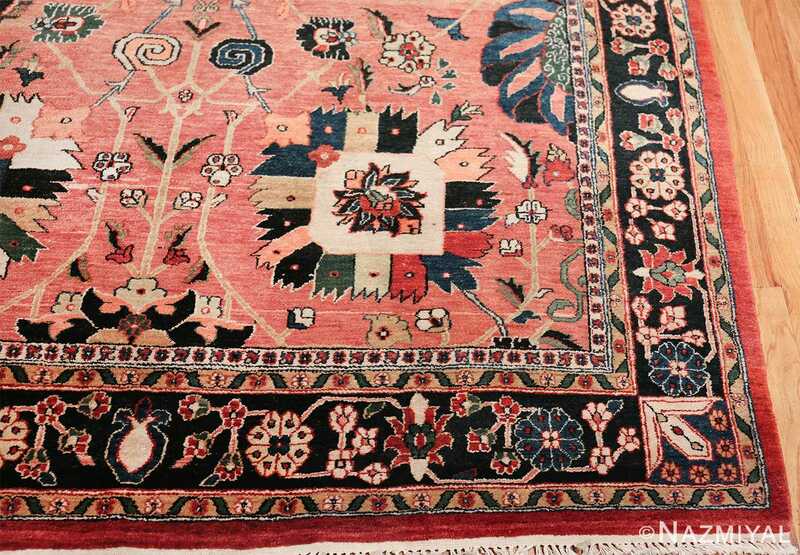 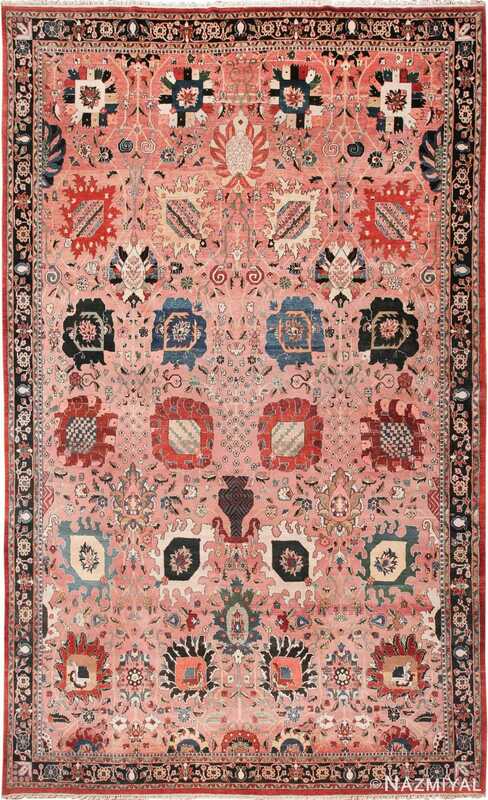 A beautiful bouquet of flowers bring their delicate ambiance to this vase design of this magnificent Indian rug. 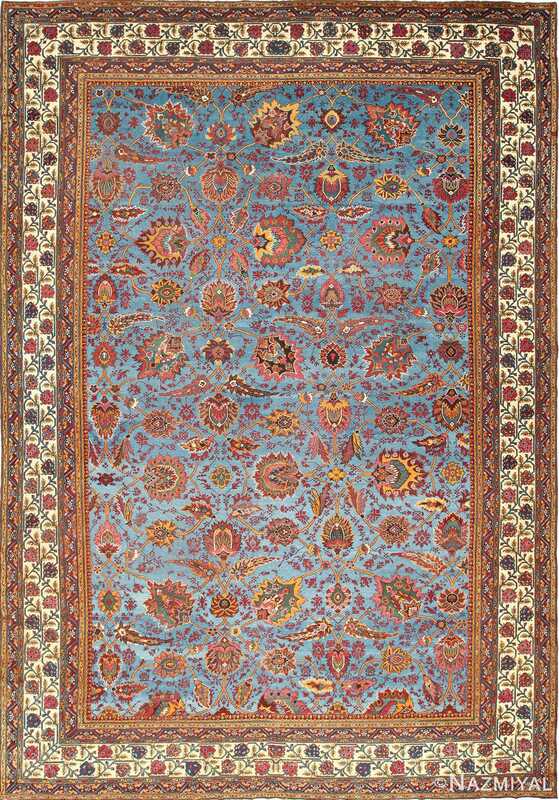 The Persian vase design if one of the more recognizable of all the rug designs. 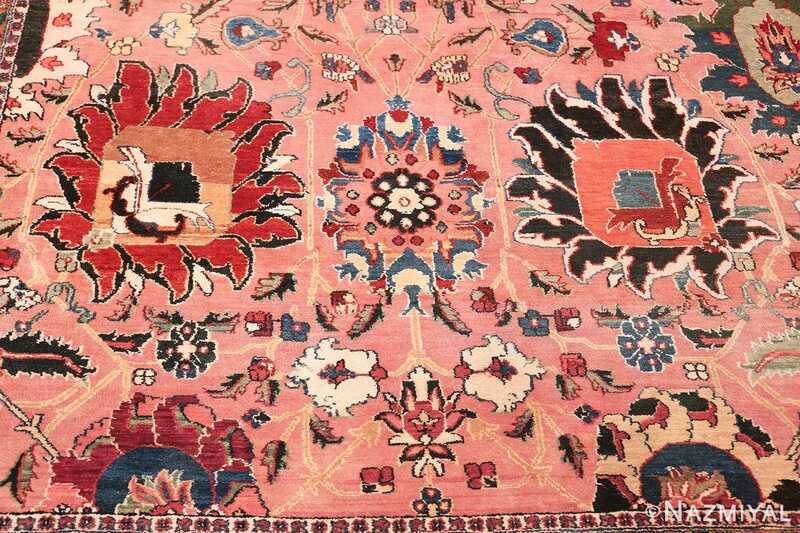 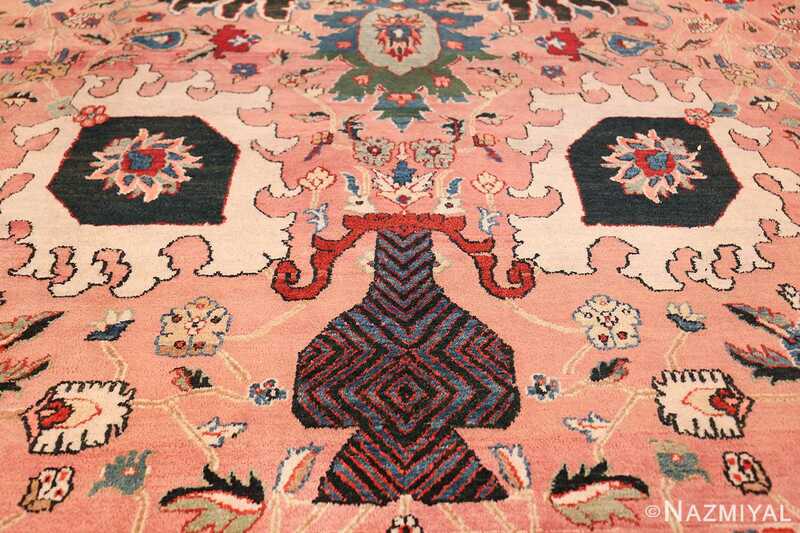 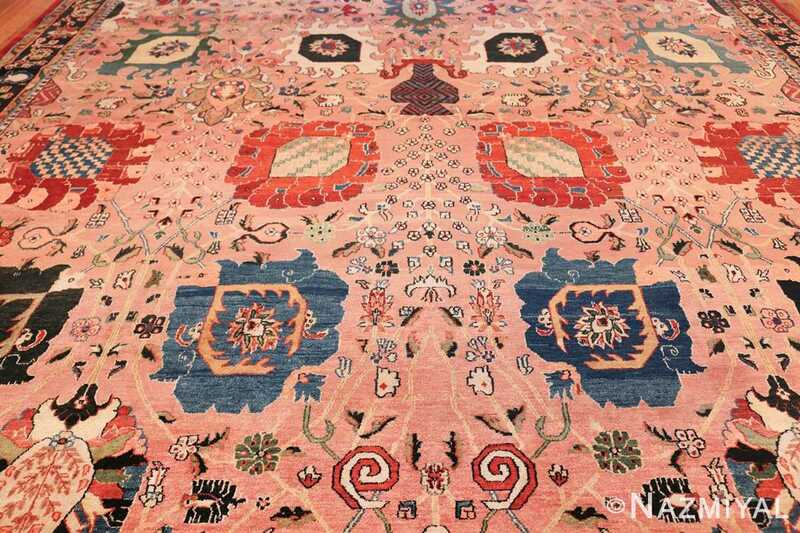 Though the design itself has been a staple within the history of antique Oriental Persian carpets, the colors that are featured here give it a much more modern contemporary feel. 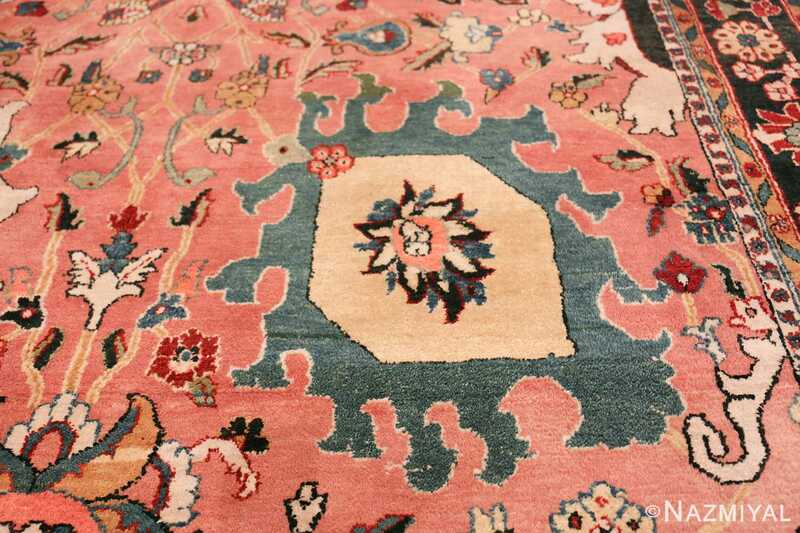 The vase motif in this large size rug is offset and placed lower than the true center of this exciting vintage mid century rug. 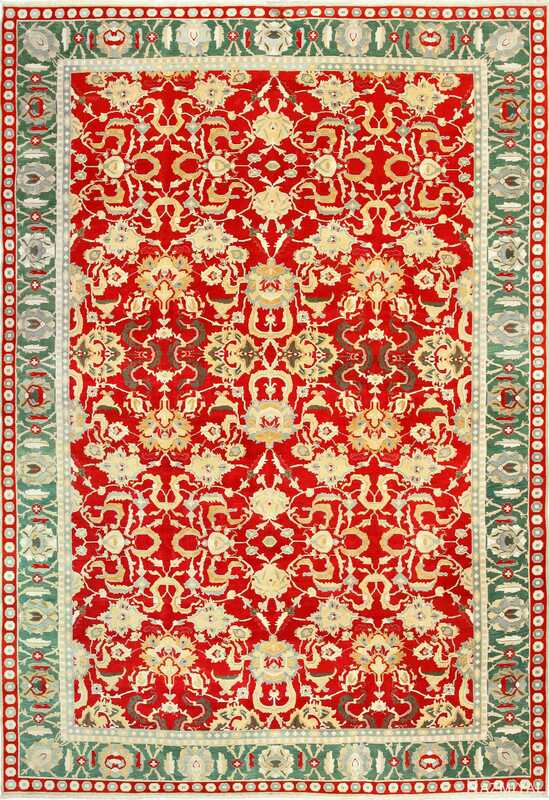 This gives the design more interest and draws a focus to the central field theme of the rug. This also allows the floral vine scrolls that emanate from the vase itself more space to meander throughout the design. The border a of the rug is understated compared to the main field of the design. 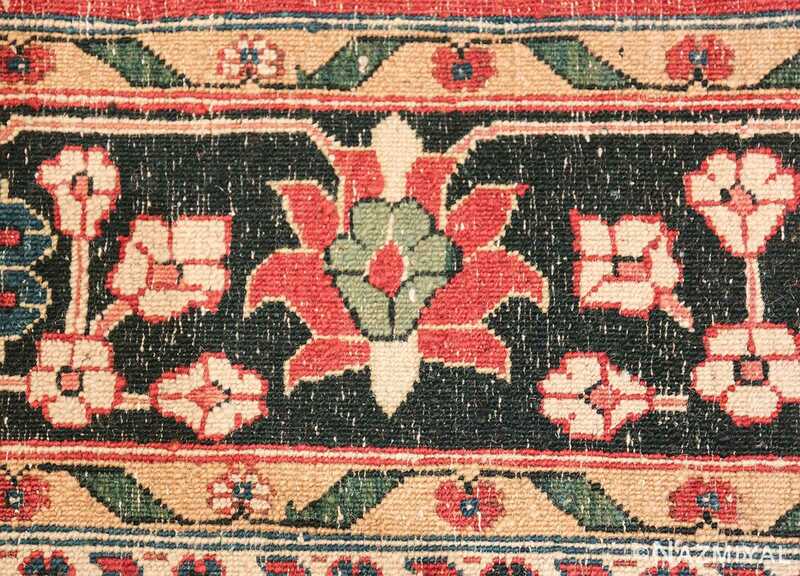 This was done purposely to place the focus on the large scale palmettes and vase design in the field. 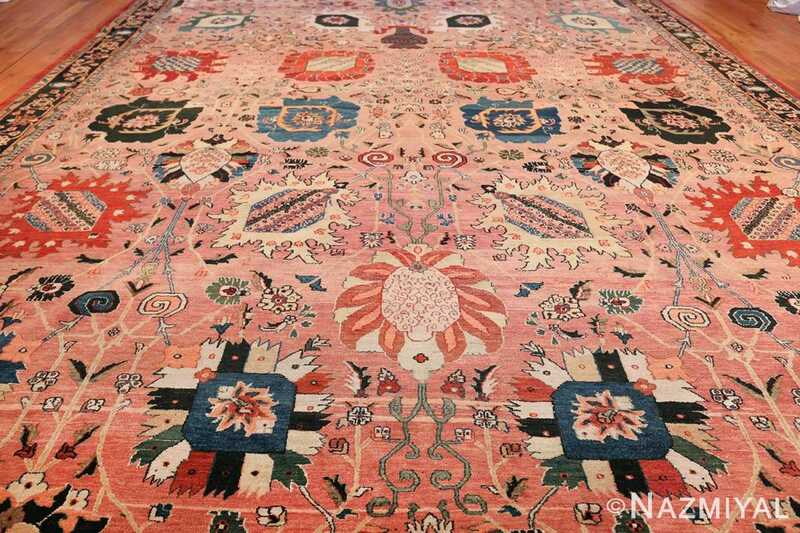 The direction of this beautiful vintage Indian Agra rug is defined by the vase but that does not restrict the feeling of movement in either direction. 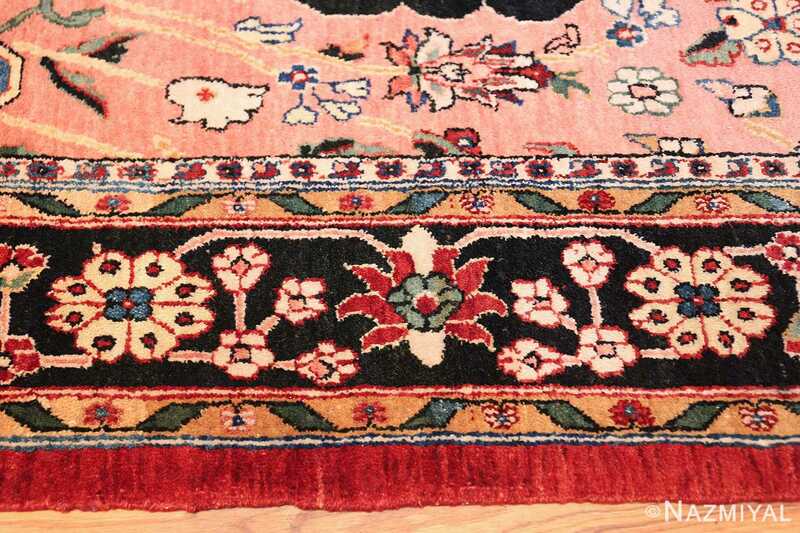 Especially since the larger scale flowers are turned in different directions. The rug has horizontal symmetry but not vertical. 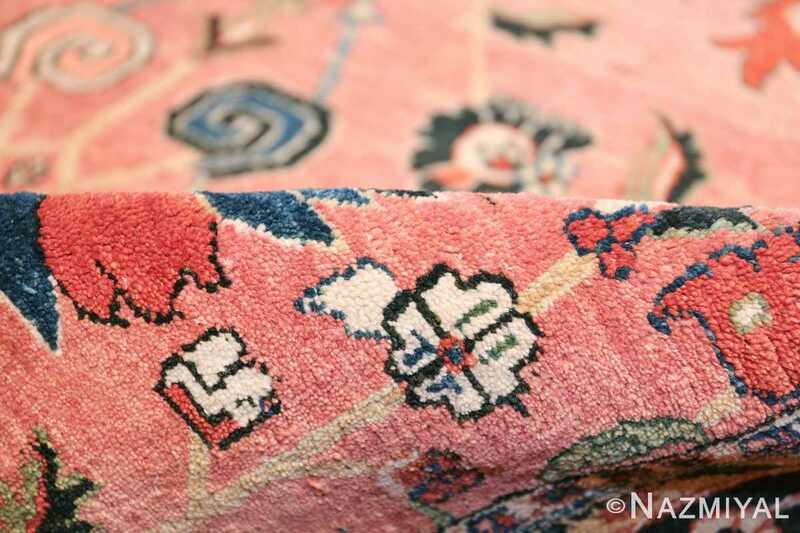 This gives a feel as though there is more to the rug than we can actually see. 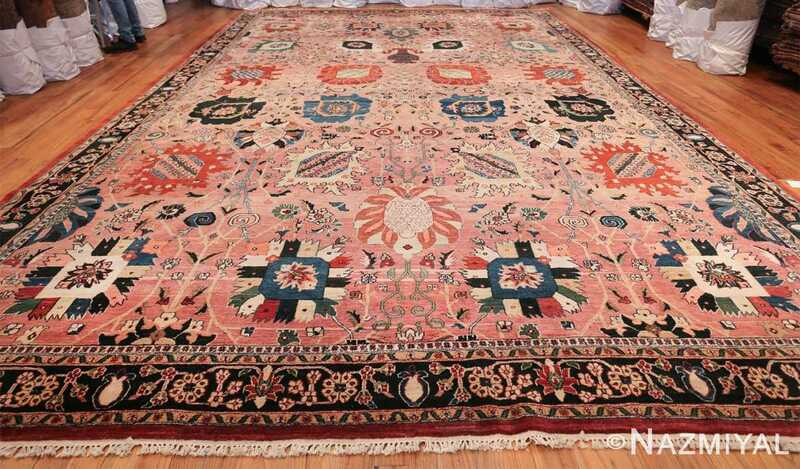 This large vase design vintage Indian Agra rug will bring a feeling of spring flowers and freshness to any room’s interior design. 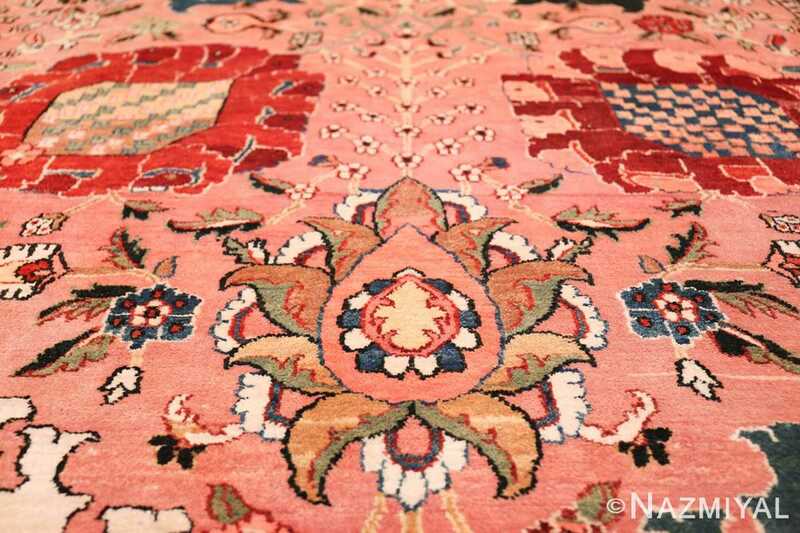 It is the type of piece that deserves to be placed in a spot that will allow it to showcase its beauty both in color and design.